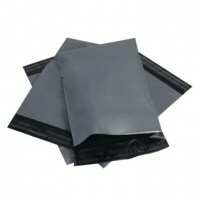 We have a range of Polythene and Polypropylene packaging is designed especially to protect items from damage and enhance the presentation to the customer. Our products are made of high quality virgin material that is strong and durable enough to withstand normal shipping conditions. Aside from strength and flexibility, our packaging is also handy to store and easy to use, which speeds up and increases packing efficiency. Our wide range of polythene packaging materials includes solutions for different bagging, shipping and storage requirements. Most items come in various sizes to cater for general packing use.